UCI offers funding to dynamic MFA candidates with a significant dance background and a curiosity to learn more. Most MFA in Dance students are awarded support, along with opportunities to work with one of the most talented undergraduate pools of dancers anywhere. Financial aid for our two-year program comes in the form of fee fellowships, non-resident tuition fellowships, and employment as teaching associates and graduate student researchers. Graduates of the program have entered diverse job markets, securing college and university faculty positions or jobs at private studios and conservatories; starting their own dance companies; pursuing Ph.D. degrees in dance or health/wellness certificates; and increasing their opportunities for choreography with newly strengthened creative skills. 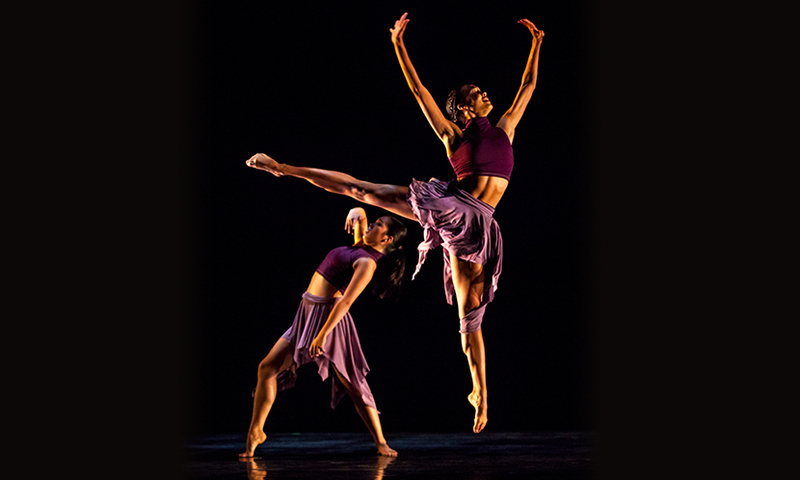 In their two years of study, students take a variety of classroom and studio courses, with attention to connecting the mind and the body, expanding dance literacy and the toolbox of skills, and fostering creativity in new choreographic work. The thesis project takes up much of the second year. Most students create a choreographic work and write a thesis paper, while others pursue thesis projects in dance education, dance history, or dance science. We seek a diverse, enthusiastic pool of applicants with a substantial background in dance and a passion to learn. We have welcomed professional dancers, teachers, choreographers, Fulbright scholars, as well as recent graduates to our MFA program. Applications for admission to the MFA are due in January, with the audition at the end of that month. Have questions? Read the other graduate pages on this site, or contact Professor Alan Terricciano (Graduate Admissions Coordinator) at aterricc@uci.edu or Yvette Adame, Dance Department Analyst at 949/824-7284 or yadame@uci.edu.